Can Psychedelics Really Help Fight Addiction? Psychedelics have been used to treat alcoholism and addiction for nearly as long as records have existed with substances ranging from psilocybin to belladonna all used to prevent excessive drinking or substance abuse. Today, this trend is on the rise again, with individuals advocating the use of primarily plant-based psychoactive such as mescaline, psilocybin, kudzu, ibogaine, and others to “cure” or help fight addiction. While trends vary in scientific validity, there is some basis and real scientific study in using psychedelics to treat substance abuse and addiction. Of these, treating alcohol use disorder with psychedelics including LSD and mescaline are among the most studied, with several clinical trials involving rats and mice showing promising results and several more with human patients also showing results. However, there is still a great deal to consider for those struggling with a substance use disorder, as psychedelics are not a cure and studies typically pair them with real forms of treatment including behavioral therapy. Substance abuse is widely regarded as a disease of the brain with roots in habit and behavior. Its most common treatments are removing the substance, changing habits, and working to change behavior. In some cases, recovering patients are given conditions for change, or a new environment which forces change as well. 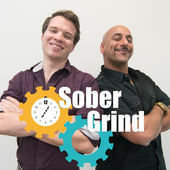 At the same time, many people don’t truly recover or find motivation to stay clean or sober until they have undergone a sort of “spiritual awakening”, which is the aspect of finding something bigger or better to live for, changing focus and priorities, or, in the case of Christian-based recovery, believing in a higher power. This process of personal transformation is sought after as motivation in science-based recovery, and is often found in the form of social support, loved ones, and changing lifestyles for the better. Here, psychedelics share a common role, with many people experiencing what is loosely described as a spiritual experience of deep and moving emotions, inner peace, and a realization of insignificance to the greater whole. This experience may be pivotal in moving individuals away from substance abuse, by helping them to gain greater insight into emotions, life, and motivation to live without alcohol, nicotine, or another drug. Here, psychedelics causes acute changes in brain activity, increasing communication in certain areas of the brain while reducing activity in others, especially those related to the independent self or ego. The result is often a softening of the ego/sense of self, resulting in deep emotional experiences, where individuals are able to look at aspects of their lives without the judgement of the ego or pressure to defend it. LSD was extensively tested and used to treat alcohol use disorder between the 1950s and 1970s, with thousands of patients participating in clinical trials conducted by Humphry Osmond and Abram Hoffer, who used substances including mescaline (the hallucinogenic compound found in peyote) and LSD to treat alcohol use disorder. These studies ceased when LSD was popularized as a recreational drug and was listed as a Schedule 1 Drug in 1971. 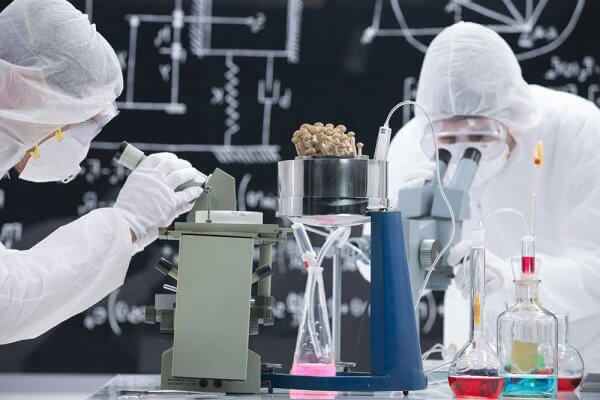 Today, interest in the subject is resurfacing, with psychedelics including LSD, mescaline, ibogaine, ayahuasca, and others all used in clinical trials with rats or mice as well as in trials with human patients. For example, Michael Bogenschutz launched his first trial to study the efficacy of using LSD to treat alcohol use disorder in 2012, following up with a second human trial. His results suggested that LSD had a large impact in the continued sobriety of the patients involved, with increased efficacy over only treatment and increased efficacy over treatment and a placebo. Similar trials into other substances showed similar results. Ibogaine, a plant-derived psychedelic, was shown to be effective in reducing both opiate withdrawal symptoms and cravings for as long as 12 months after usage. Psilocybin – Psilocybin is the active ingredient found in the mushrooms of the same name and is a strong psychedelic. In one pilot study, 15 heavily nicotine dependent patients were given a 15-week course of therapy in combination with three 30mg doses of psilocybin. 80% of the patients were abstinent after 6 months and 60% were abstinent after 12 months. However, with no control group, results are more difficult to validate. LSD – LSD is perhaps the most-extensively studies psychedelic, with numerous clinical trials into its efficacy in fighting addiction. While the vast majority of trials were conducted between the 60s and early 70s, with one of the most well-known showing a 59% decrease in alcohol abuse versus an about 38% decrease in alcohol consumption in a control group without LSD. Ayahuasca – While Ayahuasca is not extensively studied for use in treating substance use disorder, it is believed that long-term users show significantly reduced drug and alcohol abuse over time with the exception of cannabis – even when previously addicted to drugs or alcohol. Peyote – Peyote, or more often the pure active ingredient, mescaline, shows significant promise in reducing cravings and helping to fight substance abuse. The drug is also commonly used in Native American ceremonies to treat alcoholism, with studies showing advantages over using peyote during treatment. Ibogaine – Ibogaine is promising in most studies for its anti-addictive properties including the ability to reduce cravings and withdrawal symptoms in opiate users. Preliminary studies show significant results with all studies recommending further study in clinical settings. However, due to the potential danger of cardiac arrest and toxicity inherent in ibogaine use, real large-scale clinical trials have not yet happened. Are Psychedelics a Viable Treatment for Addiction? 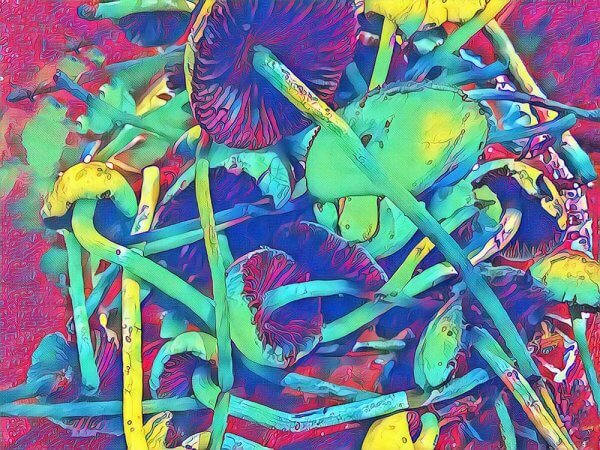 While psychedelics are showing promising results in substance abuse treatment, most people should exercise a great deal of caution. Psychedelics are often dangerous and some like Ibogaine can cause a significant risk of death. Many of the studies investigating the prospective benefits of psychedelics on substance use disorder are also relatively small (many include only 10 people), not on humans, or were halted midway through due to litigation in the 1970s and not resumed until the 1990s or later. This leaves a great deal of room for error, with the need for further and more in-depth studies to back up claims. In addition, most studies show that substances such as LSD reduce cravings and abstinence for a few months and typically not more than 12. Many successful studies pair psychedelic treatments with traditional alcohol and drug abuse treatment including therapy, mindfulness, behavioral therapy, and even group counseling. Most reviews of literature on the anti-addictive properties of psychedelic drugs recommend this same caution, noting that preliminary studies indicate promising results, but any results at the level of existing studies are just that, preliminary. Some also caution that the widespread popularization of psychedelics as cures for substance abuse may further popularize them as safe for recreational use, when that very often is not the case. If you or a loved one is struggling with substance abuse, it’s important that you seek out help. While psychedelics like LSD or ibogaine do show promise in helping to treat substance use disorders, efficacy is often tied to undergoing traditional therapy and behavioral therapy at the same time. In addition, studies are still underway and the real effects of LSD and other psychedelics on addiction are not fully understood. Seeking out traditional treatment will be necessary no matter what, and doing so safely, without risking complications through exposure to potentially life-threatening drugs is a significantly safer and proven effective method of getting help. Please contact Beginnings Treatment Centers today and speak with one of our experienced and professional intake advisors. We can answer any questions you may have. Help is available now.